Don't get caught without backups of your data! 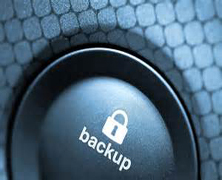 Reliable Backups are the Backbone of Your Small Business! Our newest offsite data backup service is just what the doctor ordered for small health care providers or any other small businesses. It is fully HIPAA-compliant, stored in multiple, redundant data centers and it is 1/5th the cost of the offerings of the major data backup players in the industry! With full reporting and tracking, you get an email about every backups status, how much data was backed up, and success or failure rates. Call us today for a free review of your backup strategy and see how much money we can save you! And how much peace of mind we can supply.